The strike happened in the early hours of Wednesday at around 3:00 am (01:00 GMT) and destroyed the building’s upper floors and injured people on the ground level. The victims have reportedly been transported to makeshift hospitals in Idlib. “At least four staff members of the Syrian Red Crescent (SARC) were injured in the airstrikes, one of them is in critical condition,” media activist Abdulqadir Othman told ARA News in Idlib. “The bombardment also caused a massive destruction of the organization’s offices,” Othman added. The fire that broke out after the strike reportedly further contributed to the destruction of vital medical equipment. While the attack has not been yet been confirmed by any of the forces operating in Syria, Kinik pinned the blame on the US-led coalition, calling the bombardment a war crime. “We strongly condemn hideous air attack led by US coalition on #Idlib #RedCrescent HQ. It's clear #warcrime and #IHL violation,” Kinik tweeted. A single strike from “what is thought to be a coalition drone” slammed into the building, Idlib Civil Defense spokesman Hamid Kutini told Syria Direct. The official added that he identified the drone by the sound emitted by the aircraft on its approach to the target area. 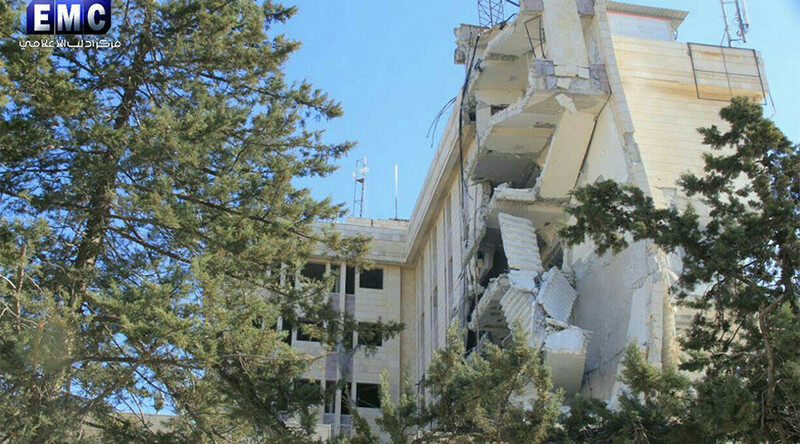 The SARC center was based in the old building of Carlton Hotel in central Idlib city. It provided medical services, food and relief aid to civilians of the terrorist-held provincial capital. The Syrian Red Crescent has not yet commented. Apart from the US coalition, both the Russian and Syrian air force continue to conduct aerial operations against terrorists in Idlib province, including the al-Qaeda-splinter group of Fateh al-Sham.